Atlus have dropped the 1,345 trailer for upcoming rhythm games Persona 3: Dancing Moon Night and Persona 5: Dancing Star Night. The time featuring another DLC character strutting their stuff, the adorable Lavenza. 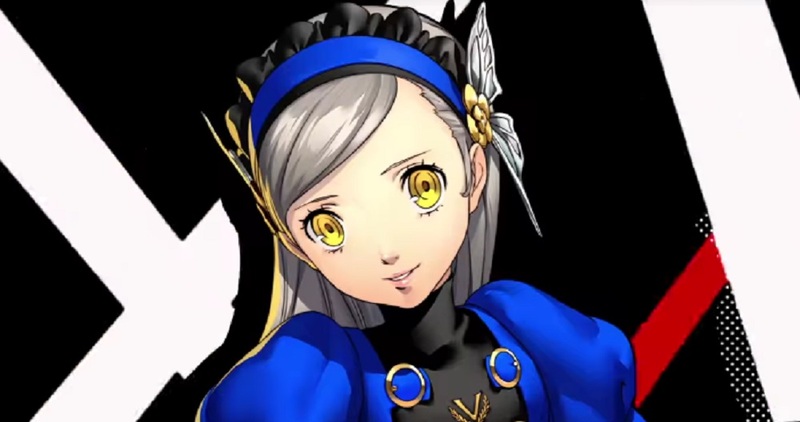 Lavenza is the amalgamation of Persona 5's Velvet Room assistants, Justine and Caroline. These girls - who are also featured in Dancing Star Night - attempt to help protagonist Joker with his "rehabilitation." At one point in the narrative, the two jailers merge to form Lavenza. In the new trailer, Lavenza moves with grace and fluidity, staring out at the player with her DEAD EYES. She is eventually joined by Margaret, the older sister of Persona 3's Elisabeth. Lavenza will be available to purchase as a DLC character, for either dance title, post-release. Persona 3: Dancing Moon Night and Persona 5: Dancing Star Night are both set for release in Japan May 24 on PS4 and PS Vita.